I never liked the term, “friendly letter.” When I was in elementary school, we reviewed the parts of a letter EVERY YEAR for like six years straight and then wrote pointless “friendly letters” that went nowhere. Huge snore. I disliked letter writing as a student, and I avoided letter writing activities for a long time as a teacher. Well, times change. I spend a lot of time on letter writing with my students now and here is why. Students have a hard time addressing an envelope (and I teach 4th grade where they have been doing the friendly letter drill for awhile). They are unsure about how to organize the three address lines, don’t know state abbreviations, and have trouble capitalizing correctly. When I ask students to address an envelope, they get to practice these skills. They are reminded how to write a complete name with a title (like Mrs. or Mr. or Dr.). They practice writing street abbreviations as part of the name of the street with capital letters (Center St. or Liberty Blvd.). They review state abbreviations and reinforce the comma between a city and a state. 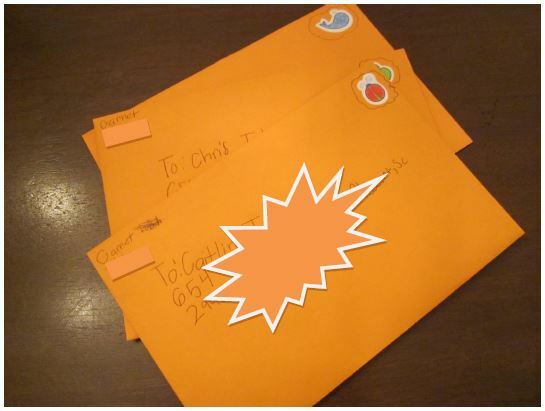 If students add a return address to the envelope, they get a little extra work remembering their own address too. So I am not necessarily referring to anyone I know, but for those of us who become slightly unbalanced when the address lines are all uneven on the envelope, slide a lined index card inside the envelope with the lines facing up. If the envelope is sheer enough (like a basic business envelope), you can see the guidelines when you press down to write. Your address lines will be straight and even making my the world a happy place. We usually type our letters, but I am a fan of handwritten letters too. Either way, students learn to format a letter in a logical order. There is contact information at the top, a date, and a proper salutation. Even if our students in future years are handling all communication with employers, co-workers, or clients electronically, they will still need documents formatted in an order that is easy to read. This is just a good lifeskill. If students know they will get tangible results from a project they complete, they are more likely to engage at a higher level. I have students write letters to people who reply (most of the time). In order to get a reply, my students have to communicate effectively in their letters and then address and mail it correctly. A formal letter requires full sentences, organized ideas, and a beginning, middle, and end. When we do receive a letter back, students gain experience with cause and effect– they wrote a letter asking for or providing information and received a reply responding to the content in the original letter. 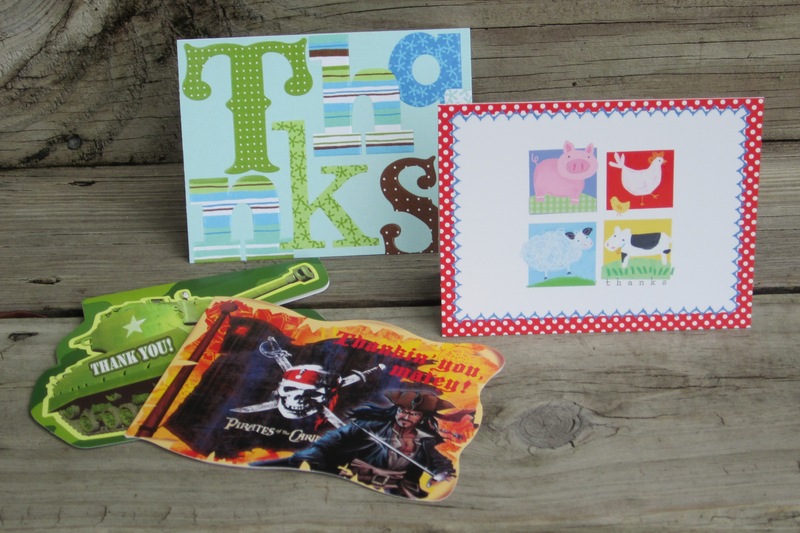 Here are a few letter writing activity suggestions. They are ideas that work at home as well as the classroom. One of my favorite types of letters are thank you notes. The format of this letter does not have to be a full fancy business format. Casual is definitely acceptable. One benefit (among many) of the thank you note is that it requires children to reflect on something nice that has been done for them and then specifically recognize in written words why they appreciate the nice thing. I have a rating system for thank you notes on the post here. 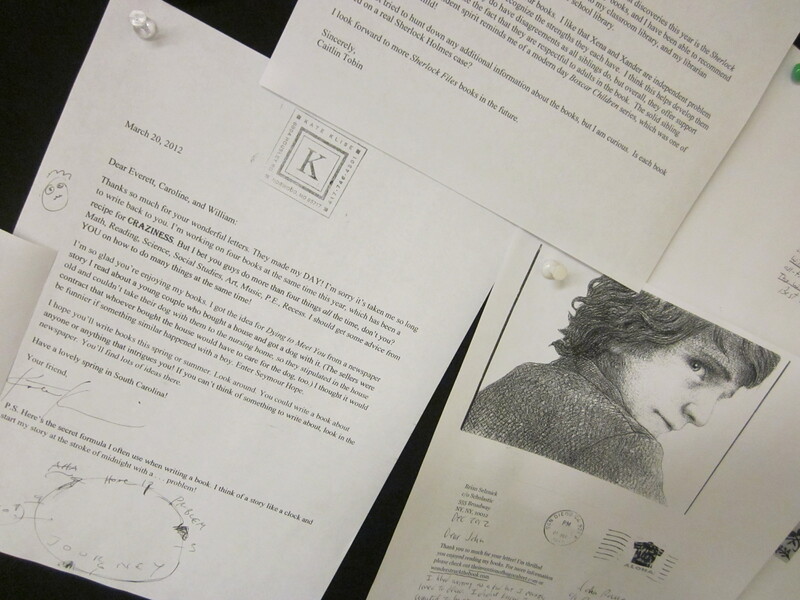 An ongoing activity in my room is an author letter project. Students search contact information for a favorite author. The contact information could be an e-mail address, mailing address, or a publisher address. The students prepare a letter that details why they enjoyed a specific book by the author and gives reasons the book may have had an impact on the student. About half the time, we receive personal replies from the authors. You would not believe how an author reply can motivate a student to read! For more author letter tips, click here. This year, students researched a state and contacted an alum from our school to ask for more information about the state and the history of our school. Again, we had about a 50% return rate. The men and women who wrote back to our students included many stories about their life at school when they were in the 4th grade. The connection to the history of the school made a much bigger impact than the rest of the state research project. I could not have replicated that by sharing something from a history textbook. The students made a personal connection with the alum. I liked that the students participated in an activity that stretched well beyond the classroom, and they created a link that was outside their everyday world. Write to a relatives or friends who live in a different town. Ask about how their life might be different from your own. It is a great way to discover old family stories or compare differences in cities, states, and regions. 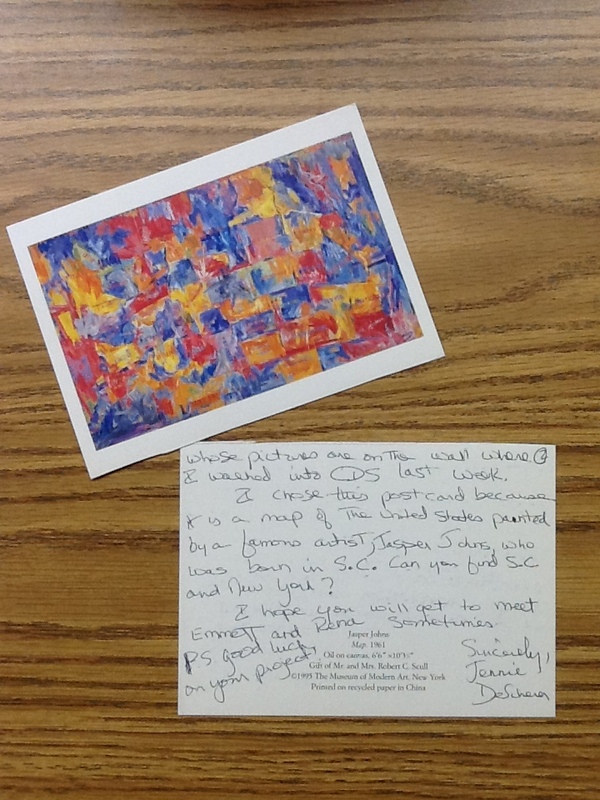 (Visit my teacher store to purchase the State Postcard Project).